Acid Midget: gimme an i! 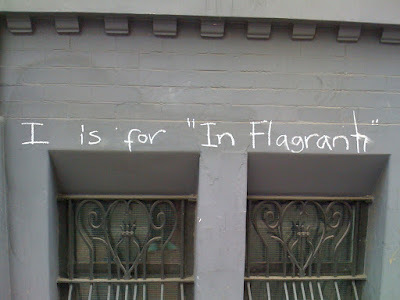 Darlinghurst Nights has reported on alphabet tags that are popping up all over Sydney. I came across this one on Bourke St. Love In Flagranti like I love croissants and Café Zoe. They do nu-disco like Obama does "being an African-American president in a largely white government". What would 'i' be to you? glad you think so maddy.